A group of aspens explode with color late in the autumn season in Rocky Mountain National Park. 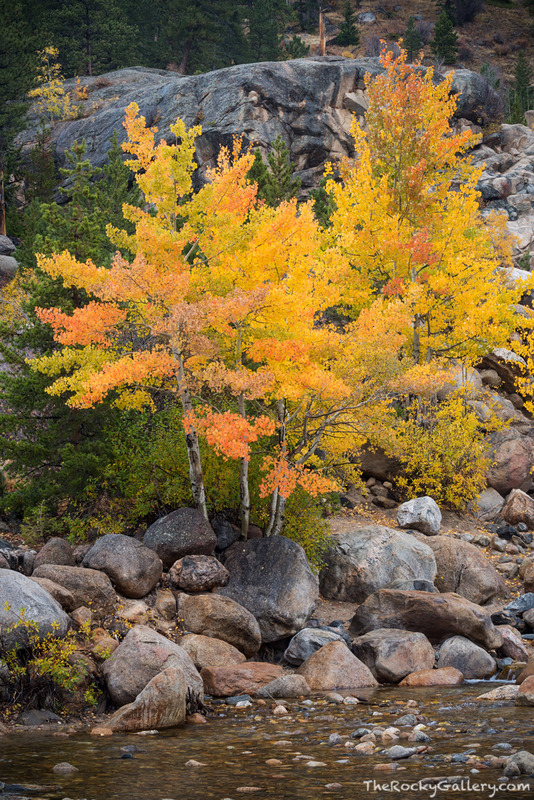 Just below Alluvial Fan Falls along the banks of the Roaring River these aspens trees turn golden yellow and orange each season. Photo © copyright by Thomas Mangan.